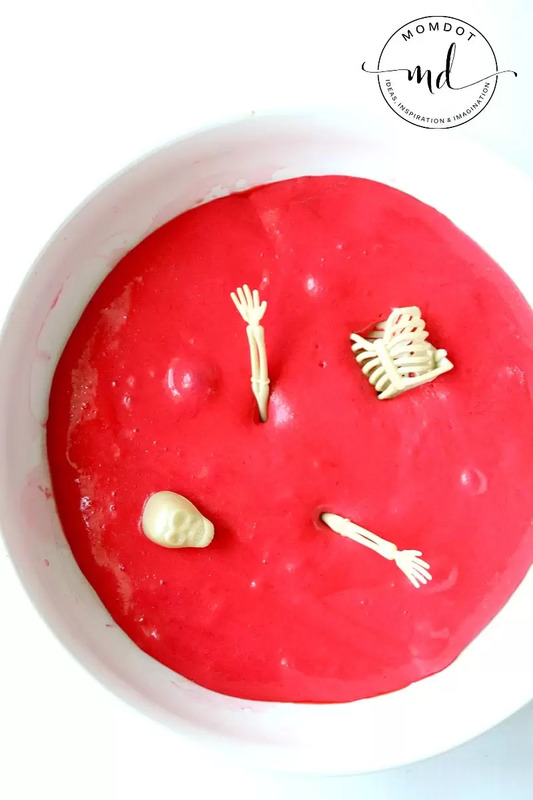 Roach Slime ; How to make the GROSSEST Halloween Slime EVER. 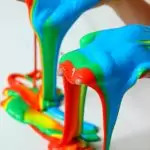 Looking for a completely nasty and disgusting slime tutorial that is perfect for the upcoming Halloween holiday? Look no further and learn how to make roach slime to freak out your kids. 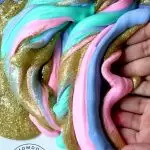 Charlotte and I have been making slime a very long time. We even have a slime book! 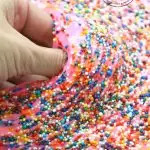 We love the ooey gooey feeling and the super fun creative ways we can make every batch so different. 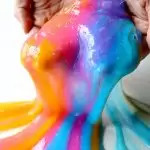 Now that school is back in session, kids are making less and less slime, but we have to tell you that Halloween is hands down the BEST time of the year to up your slime game. 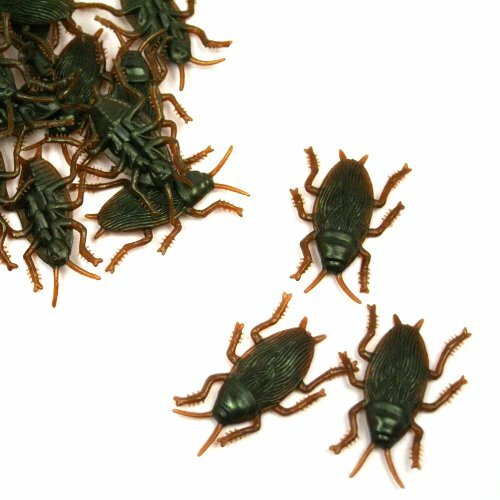 Perfect for Halloween parties, classrooms or even to pass out slime as a no-candy alternative, you cannot go wrong prepping this Roach Slime. 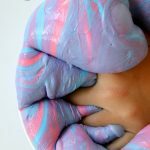 Once you are done checking this out, be sure to check out these 15 fun Halloween crafts for kids too! Yep, roaches. 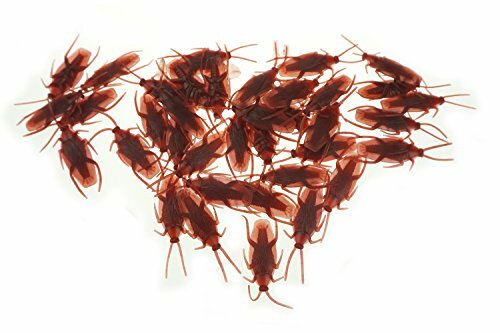 I saw this bag of roaches when we were out checking out Halloween decor and I just knew it was gonna be perfect. There is nothing grosser than a roach! Its gross when its alive and its gross when its dead. And boy was I right! 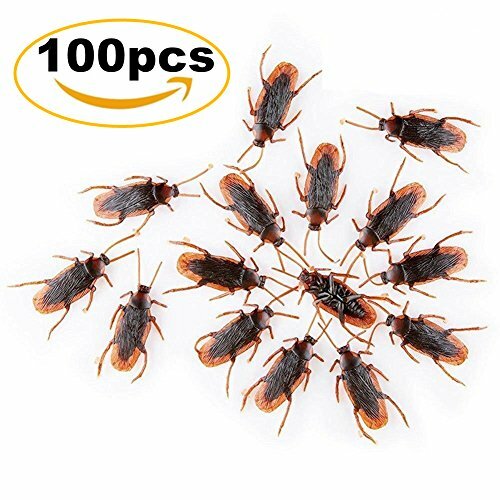 Dumping a bag of these (fake) roaches into a batch of clear slime even freaked out my 6 year old son. It doesn’t matter if you make a nasty black or green slime, but we preferred making a clearer slime so the roaches could bleed through it. It reminded us of them being squished! Start with your clear glue . Pour approximately 1 cup in a bowl. We wing this and do not measure, its not important to be perfect. Now add saline solution – start with approx 1 tablespoon and stir. The slime will start to form. You can adjust the amount of saline solution you add to make it more or less sticky. We were pretty happy with our dripping slime but in this case, to make it more solid, we also added a bit of liquid starch. The liquid starch will take your perfectly clear glue and make it a bit cloudy. 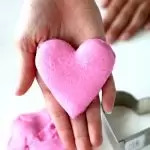 The more you add, the less sticky your slime will be. 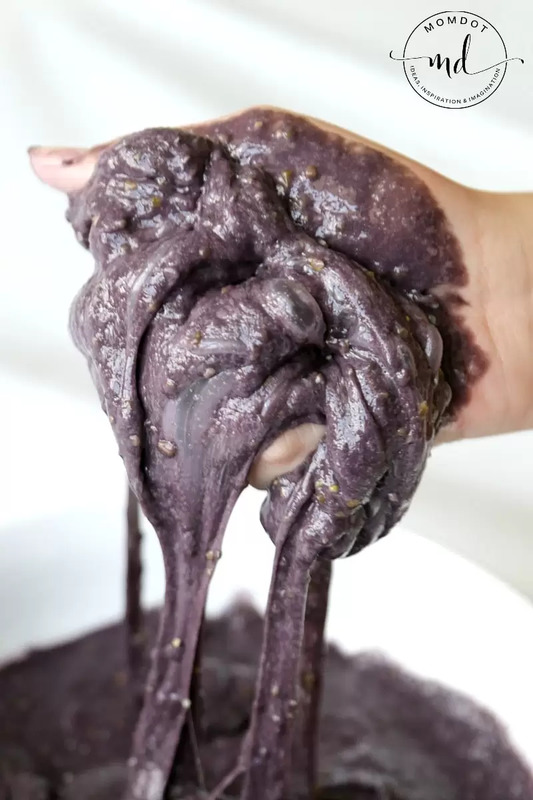 Start at 1 tablespoon and go up slowly, making sure you kneed your slime all the way through before adding more. Once your slime is done, add your roaches ! You can also add your roaches into a beaker if you want to set them up as Halloween Decor at a party! 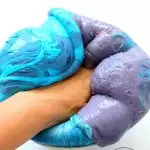 There are so many ways to freak out with this slime. 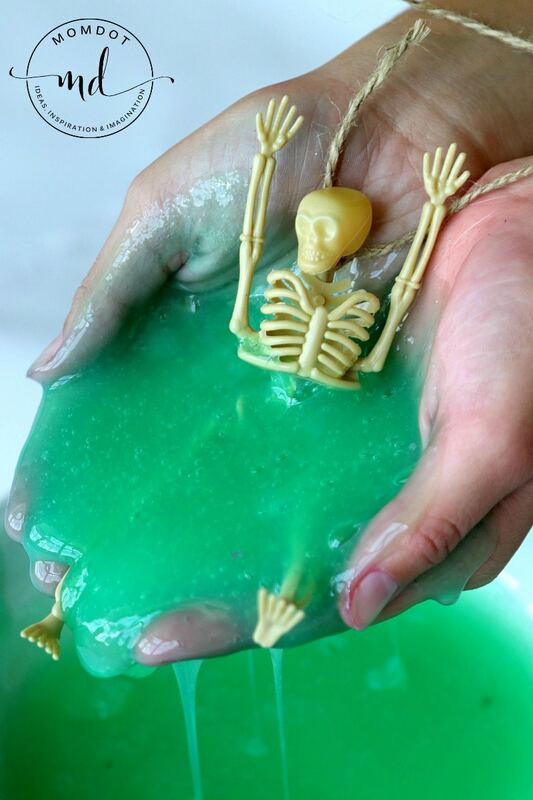 Looking for more Halloween Slime ideas? 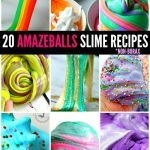 Click on any of these pictures to see our other slime for the season and get inspired for some super gross and creepy fun!